Mr. Kübel, what persuaded you to become sponsor of the initiative "Working Out Loud @ Bosch"? As working in networks and using digital opportunities are key skills for all of us in the digital age, Working Out Loud (WOL) is something that is important to me. And these skills are also very important for Bosch. WOL Circles are a hands-on method to acquire these skills. I am impressed by the speed with which the topic has spread within Bosch and by how positive the worldwide feedback is. I am told again and again that the method enthuses and surprises associates with completely different backgrounds because it is so versatile and yet simple. And finally I have been asked to take over the sponsorship in such a charming way, that I was very willing to accept. What does Working Out Loud mean for you personally? Personally, for me Working Out Loud means to collaborate virtually in a network and to be open for sharing my knowledge and learning from others. Therefore, Working Out Loud stands for a mindset that we urgently need in a connected world. And here I don’t think only about associates like developers, IT guys and marketeers, but also about direct employees that work together in manufacturing networks across countries and divisions. What is the significance of Working Out Loud and of the Working Out Loud Circle method for Bosch and its associates worldwide? 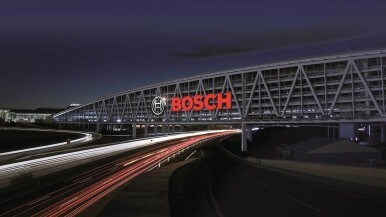 Bosch is in the middle of a fundamental transformation process. Digital change does not only affect our markets but also our working environment. In order to shape the connected world successfully, we need to collaborate across all borders, to support and to learn from each other. And it is not only a question of technology but much more of mindset. It is important for us that associates from all levels, functions and cultures contribute with their ideas and their expertise. Only together can we exploit the opportunities of the connected world. Working Out Loud supports us in this development. The Working Out Loud Circle method offers associates an opportunity to experience network-based collaboration and to further develop this skill, independent from their hierarchical level. Thereby, the method supports a learning culture that we need for our change at Bosch. Finally, I like about WOL that it fits perfectly to our new leadership principles. Giving and seeking feedback is a crucial pillar of WOL. 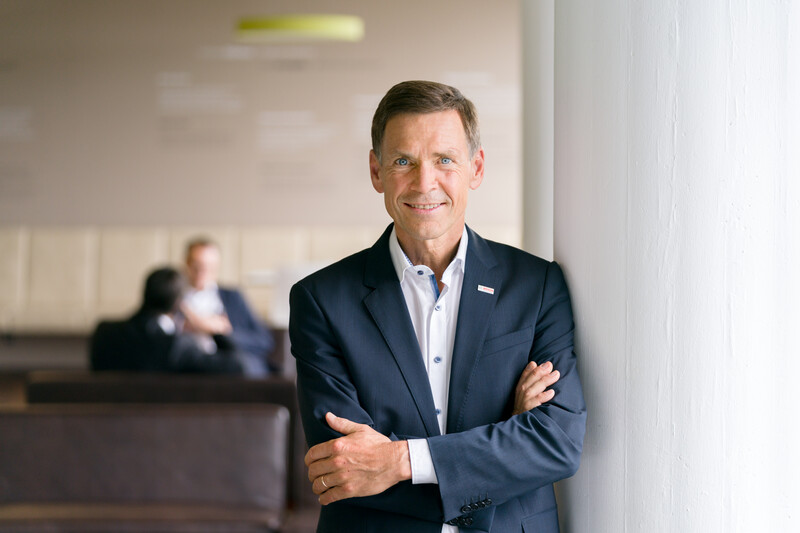 Within the board of management, I took over responsibility for the We Lead Bosch principle „We seek and give feedback, and lead with trust, respect, and empathy.” I think it is essential for us that each and everybody develops this further. In addition to WOL, you also patronize many different networking projects within Bosch. Why do you consider networks to be so important in this day and age? I am strongly convinced that we can only develop connected products if we have associates that are well-connected and work naturally within networks. Bosch’s biggest asset are our associates with their knowledge, their experiences and their competencies. To benefit from this asset, we need a close collaboration in networks and the willingness and active contribution of everybody to share their knowledge and to support others. What are your concrete plans on supporting the initiative “Working Out Loud @ Bosch“? First and foremost, I want to show with my sponsorship that we do support bottom-up initiatives at Bosch if they add value for our associates and our company. Working Out Loud fits perfectly to my own tasks and topics around the future of work, also known as New Work, so that I can play a part here. I am convinced that there is huge potential in WOL for our company that we can exploit. For further information on Working Out Loud at Bosch click here .